With NAMM right around the corner, brands all across the gear community have been making big announcements about their upcoming product lines for 2019. Now, Gretsch can be added to that ever-growing list, having announced its first-wave of 2019 releases for drummers to get excited about. First up from the brand's announcement is the brand-new Limited Edition USA Custom Exotic Red Gum drum kit, which will be capped at 50 total kits manufactured worldwide. 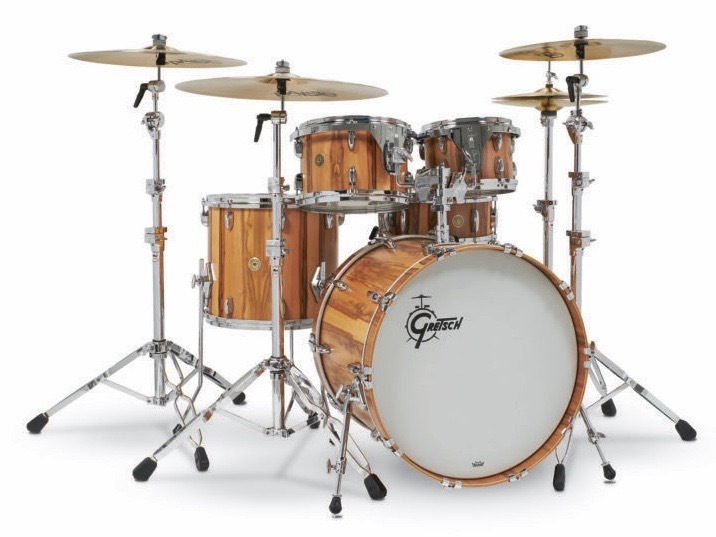 Each will feature the company's "Gretsch formula" 6-ply maple/gum shells with an exclusive silver interior finish, die-cast hoops, 30-degree bearing edges, double tom holder, and Satin Millennium Burst nitrocellulose lacquer finish. 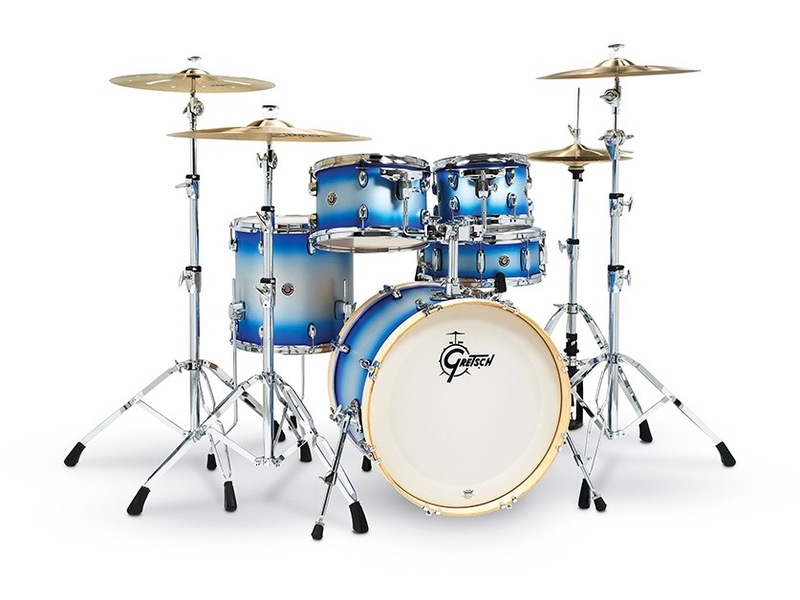 Gretsch also announced that it would be expanding the popular Catalina Series, which became a fast favorite for students, teachers, and performing drummers upon its initial release in 2001. First, the series will see the addition of the Catalina Special Edition kit, which promises to deliver classic Catalina look and feel with the additional 7-ply, all-birch shell. Also new for this year are a limited number of USA Custom-inspired Blue Silver Duco and Ebony Satin kits, available in two configurations—20/10/12/14/14(sn) or 22/10/12/16/14(sn). The Catalina Maple will be available in a 5-piece shell pack, tailored to drummers looking for a compact kit for small stages that's still capable of substantial volume, and will see the addition of a model in a Black Stardust lacquer finish. Lastly, the Catalina Club configurations will all now be available in a Bronze Sparkle lacquer finish. 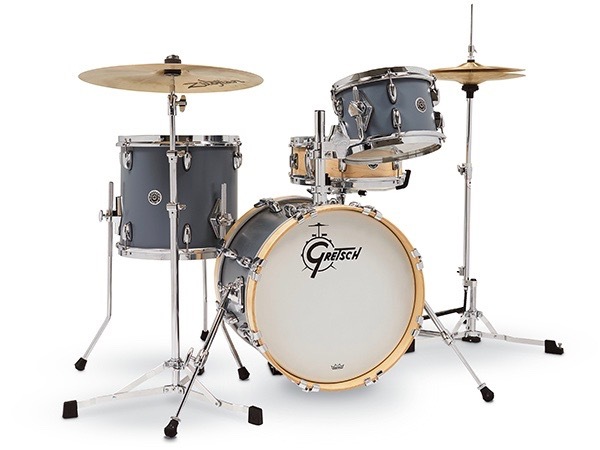 Lastly, Gretsch unveiled the brand-new USA-made Brooklyn Micro Kit—a drum set that promises to pack Gretsch's classic sound into a remarkably small footprint. Hand-crafted in Ridgeland, South Carolina, the Brooklyn Micro Kit gets its warmth from a 6-ply poplar/maple shell outfitted with 302 counter hoops and the 4825 tom bracket mounted directly to the shell, single tom mount, and removable bass drum riser make it even more compact. The compact Brooklyn Micro Kit includes a 16"x12" bass drum, 10"x7" rack tom, 13"x12" floor tom, and a 13"x4.5" snare drum. Be sure to follow along with our NAMM gear coverage for more from Gretsch and other major brands.